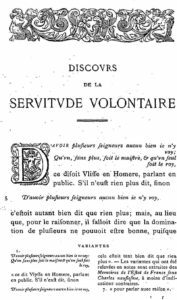 The “voluntary servitude” concept is not new: in 1576, Etienne de La Boétie wrote an essay: in “Discourse on Voluntary servitude” he explained how people enter into servitude even without being forced to do so. I like freedom, and I wouldn’t want to force anybody to leave this servitude condition if it’s a personal choice. This would be a totalitarian attitude. But I think that we need to inform people, and that we have to provide credible and attractive alternatives to people who don’t accept this situation. Voluntary servitude is not a fate: open source software is everywhere and is often the core of proprietary products that the digital giant provide “for free”. 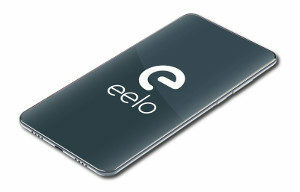 Anyway, don’t see eelo as a tool for spys: we will inform people, we will provide all necessary tools and default apps. But people will be free to install any application of their choice, as an informed choice. We believe in education and soft transition, not in extreme radicality. I’ve started to list, to explore, and to hack several pieces of the puzzle. 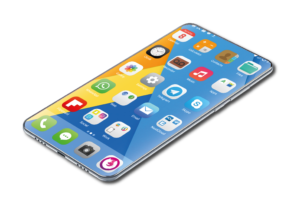 eelo is going to put all these open source pieces into a consistent and desirable offer. As the cost of storing data and the cost of internet transactions is tending to zero over time, I’m pretty confident we can provide all the digital stuff for free. eelo, as a non-profit profect in the public interest can be the begining of a profound change in our digital age. Be one of the first participants to join the project, show your support, talk about eelo, get some people into the project, and support eelo on Kickstarter! Can you elaborate a bit on the hardware (Qualcom, bin blobs, firmware)? Most projects run into issues with NDAs here. The whole privacy conscious world must stand with you. We salute “unsung World Heroes” like Edward Snowden, Pavel Durov and now YOU. All of us must do what we can to supprt you, with donations or by spreading the word to all we know. May God Bless YOU and All Those who stand for the People of World. Next PostNext eelo.io – Holiday Season, latest updates!